NEW 10 presents 10 new upcoming producers. The electronic talent from the east of the Netherlands. With the enormous flood of new music being poured out over the Internet on a daily basis it becomes increasingly difficult to discern new talent. Nieuwe Electronische Waar (NEW) has been around for 10 years and has always ensured that talented producers from the East Netherlands will still be heard. This platform for producers of electronic music presents her tenth release with producers you will want to hear more often. Let them introduce you to Bremer, Clubfratsen, The Welvins, Rude Gullit, Cloack, Monom3, Levingtquatre, Haze, Stefano and Sonurber. From trap to dub, from pure experiment to dancefloor material, the whole spectrum is covered by the 10 producers of NEW 10. Over the past 10 years, NEW has shown to be of lasting value. Through this platform more than 560 producers have shared their music that until then wasn’t heard beyond their bedroom. Knarsetand, Game Face, De Sluwe Vos, Steve Mensink, Dotlights, Hide and Scream, Sam a la Bamalot, Darko Esser, all these producers in diverse genres presented their first tracks at NEW, long or surprisingly short before they were recognized nationally and/or internationally. NEW offers all affiliated producers opportunities to develop themselves and their visibility, and selects a small group every year who are given a further stimulus. NEW does this not only with the release of NEW 10, but also by bringing these producers under the attention of bookers and promoters, by offering them the opportunity to gain experience with live shows at various venues, clubs and festivals, and to develop their skills through workshops and master classes. 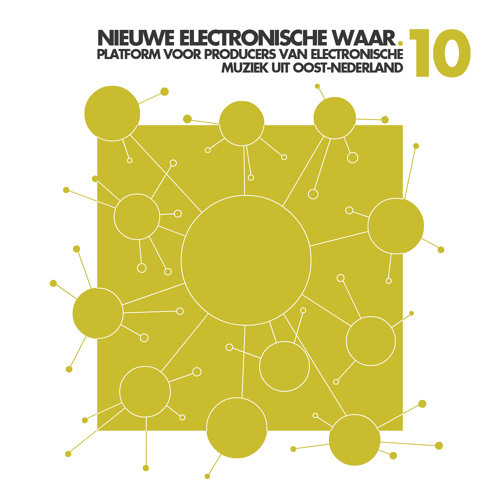 NEW 10 is available as a free download from www.nieuweelectronischewaar.nl and is digitally distributed through a variety of online channels by the label Esc.rec. Design by Kimball Huwaë Mastering by Fonofactory Nieuwe Electronische Waar is a joint project of productiehuis Oost-Nederland, Doornroosje & het Burgerweeshuis. N.E.W. collaborates with Luxor Live, Hedon, Atak, Oddstream, GRAP, Drift, Esc.rec, ArtEZ Conservatorium Deventer, Provincie Overijssel Programma Podiumplan, and is always open to collaborations with new partners.